Fuerstenball is a unique stallion with a maximum lightness and elasticity. He embodies the modern dressage horse. He is one of the most popular dressage breeding stallion in Germany and Denmark and has become popluar for US breeders as well. By 2018, Fuerstenball sired over 60 licensed sons in Germany and over 16 in Denmark. Milestones already line his still young career: After selling for a record price of 110,000 euros as an auction foal, he was celebrated as champion of the Oldenburg Stallion Licensing and was the stallion performance test winnner in 2008 with a sensational dressage index score of 154,98 points. Fuerstenball recieved a 9.0 or higher a total of 16 times and a perfect 10.0 for rideability. 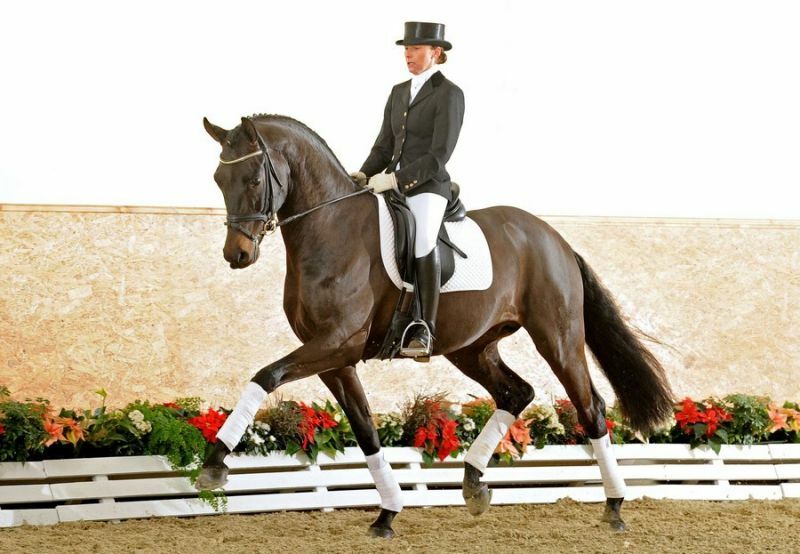 He became the Bundeschampion of the five year-old dressage horses in 2011 where he received a 9.5 for trot and overall impression, 10.0 for walk, and a 9.0 each for canter and submissiveness. Fuerstenball then proceeded to win the championship with a score of 9.4. 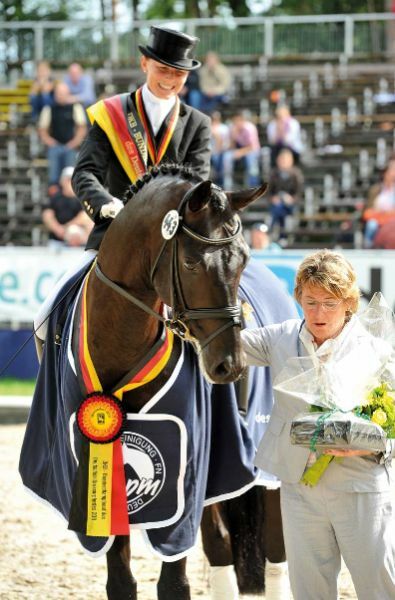 The impressibe dark bay mare Feingefuehl, by Furstenball, won the Bundeschampion 3-year-old division for Mares and Geldings, after already winning the qualification round with an 8.9. With rider Sandra Kötter, Feingefuehl upped the bar even more in the final and scored a total of 9.4, the second highest overall mark of the entire event. In March of 2018 Fuerstenball was named Danish Warmblood Stallion of the Year for his contribution to dressage horse breeding. In 2017 Fuerstenball progeny are qualifying and placing at the Bundeschampionate at Warendorf. In total he had 11 offspring qualify for the five and six-year-old finals in dressage. In the five-year-old category, five out of 15 horses selected for Group 1 were his offspring. One stallion, Fior, won group 2 with an 8.70 score. In the finals, Fior received a 9.5 for trot, an 8.5 for submission and 9.5 for general impression, and 8.5 for walk and canter. 2016 proved to be a succesful year for Fuerstenball and his offspring. Not only did his son Fuerst Fabrice get named Champion of the 2016 Oldenburg Stallion Licensing, but the reserve champion was the bay by Fürstenball x Quattro x Ramino x Herold. He was proclaimed Elite Sire by the Danish Warmblood Society this year as well. In 2014, the Oldenburg Elite Mare show was an astounding example of Fuerstenball's ability as a sire. A record number of daughters, 13, were invited to the show and 5 were invited into the Brilliant Ring finals where the mare, Funf Sterne, was crowned champion. At the 2013 Hanoverian licensing, Fuerstenball presented four approved stallions, including the price highlight Farrell (€ 460,000, Blue Hors Stud / DK) and the premium was awarded to Finest. Fuerstenball has also produced, from his first crop of offspring, the champion stallion, Follow Me, who became the price highlight (400,000 euros) at the 2012 Oldenburg Stallion Days in Vechta. At the 2012 German Foal Championships in Lienen Fuerstenball presented the Champion Colt as well as another son in the top ten. For years now he has produced top foals which have been sold many times in the six-figure price bracket at German auction sites. In 2013, Fuerstenball won his first advanced (S) level classes and Prix St. George tests. 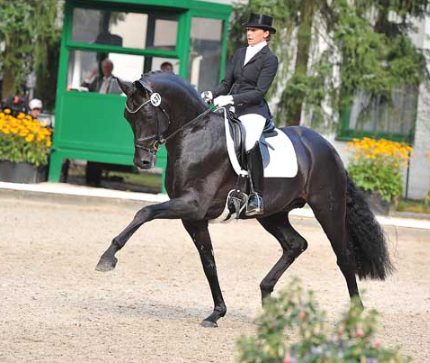 During the Oldenburg Stallion parade he was celebrated as the VTV-Dressage Stallion of the Year. 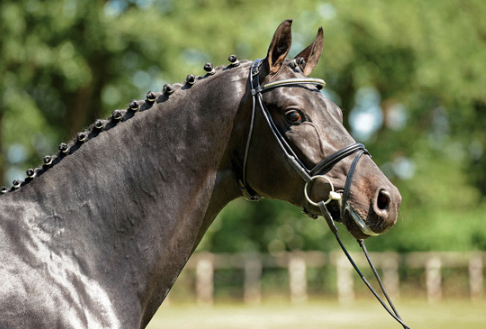 In 2011 he gained title of the Bundeschampion of the Five Year-Old Dressage horses, and in 2016 was named Elite Sire of Danish Warmblood society. Fuerstenball's successes do not happen by chance. 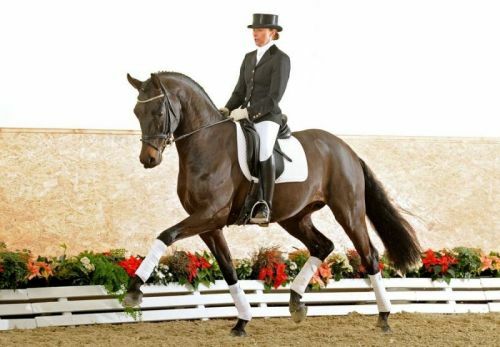 His sire, Fuerst Heinrich, himself was a dressage World Champion as a young horse and presented one exceptional mare named Woodlanders Farouche, the 2011 World Champion for Young Dressage Horses. Fürst Heinrich has also produced 48 stallions and, so far, 38 advanced (S) level dressage horses after just a short time in breeding. The dam line is especially a class of its own with products like Oldenburg champion stallion Sieger Hit, second reserve champion Hot Spot and numerous high-priced foals. Fuerstenball is also inbred to legendary dressage sire Donnerhall, and this with Holstein and thoroughbred genes, adds the final refining touch in the next generations of his pedigree.